Loretta and Jackson have been divorced for 17 years. They have a daughter Nona who is now 21, but they haven’t seen each other in 4 years, since Nona was old enough to drive herself to her father’s house. Loretta hears that Nona is planning on skipping her last year of college and living with Jackson and ranching with him full time. So Loretta storms off to the ranch to talk some sense into Nona and she’s staying there until Nona agrees to go back to school. But the sparks are still there between Jackson and Loretta. 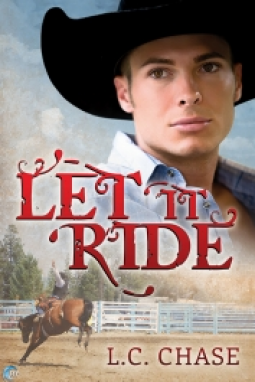 Can she get Nona to leave the ranch before the sparks ignite a fire? There was so much that I liked about this book. First off, I’m always a sucker for a plot about exes getting back together and this one was sooo good. Secondly, I quickly fell in love with Loretta and Jackson. Loretta is quite a spit-fire. I loved how she could verbally fight, but it never came to blows. And at times, she had me laughing out loud. Jackson has taken up residence at #1 on my most romantic hero list. And all because of a jar of mayonnaise. And I would be remiss if I didn’t mention the crazy family that Loretta comes from. My one true complaint is that there were a ton of country music references. And every time the author wrote about a song, it pulled me out of the story a bit. As a country music listener I had to stop and think of lyrics. It wasn’t terrible. Just distracting. This one is going on my “Best of 2014” list. A perfect, light, low-conflict, cowboy romance. 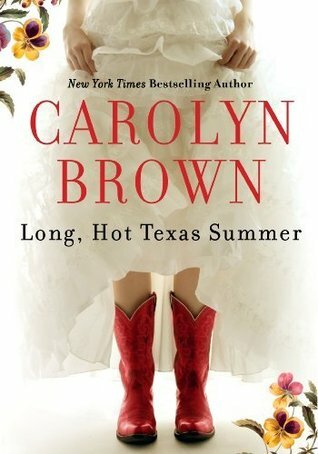 I look forward to re-reading this one in the future and seeing what else Carolyn Brown has in store for this series. Despite the low heat rating on this one, (I think it’s been years since I’ve read a romance with no direct mention of even an erection) I really enjoyed it. Do you have any low heat reads that remain on your all-time favorites list?